Summer is wrapping up here at the homestead and we’re starting to see the “Back to School” items in the stores. Summer flavors of fresh fruits like watermelon can be preserved to enjoy throughout the coming school year as healthy snacks for the kiddos (and adults alike)! Here is a short tutorial on one of the ways we preserve watermelon…dehydration! As you cut your watermelon for the dehydrator, be sure to save those watermelon rinds to make watermelon pickles! Here is our favorite Pickled Watermelon Rind Recipe. 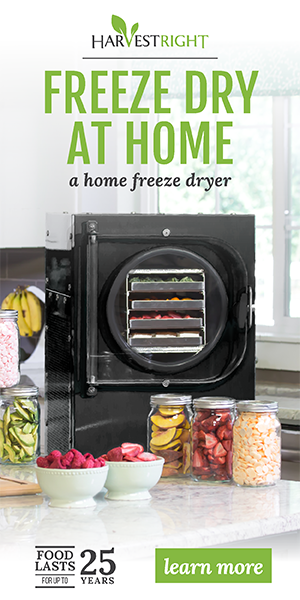 If you’re looking for a dehydrator, we recommend the Excalibur. It has an accurate temperature setting, time setting, energy efficiency, and has a stainless steel tray version for better food safety (not the plastics found on most dehydrators). Visit our friends at www.EverythingKitchens.com for more information on dehydrators available.